Dr. Safadi, a graduate of the University of Jordan, completed his postgraduate training in adult and pediatric Allergy and immunology and General Pediatrics at the Cleveland Clinic Foundation in Cleveland, Ohio. He is the recipient of the 1991 Graduate Level-One Award from the Cleveland Clinic Foundation in recognition of being an outstanding first year resident, identified by his peers, for personal and professional qualities beyond the ordinary. Dr. Safadi is certified by the American Board of Allergy and Immunology (a combined board of the American Board of Pediatrics and the American Board of Internal Medicine) and the American Board of Pediatrics. 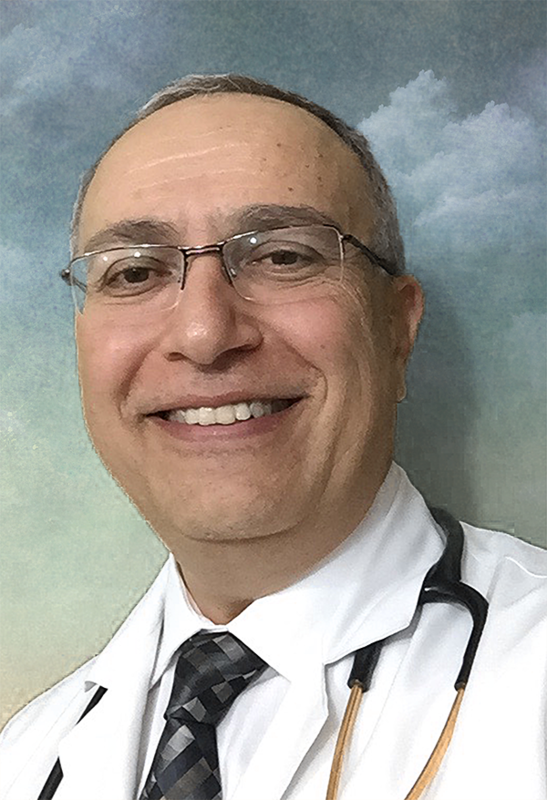 Dr. Safadi is a Fellow of the American College of Allergy and Immunology, and a Member of the Ohio State Medical Association, American Medical Association, and Academy of Medicine of Toledo. Following his training in Cleveland, Dr. Safadi served as Assistant Professor and Residency Program Director of Pediatrics at the University of Jordan for three years before relocating to the Toledo area in 2000 where he resides with his wife and three children. Kim K.T., Safadi G.S. Relation of latex specific IgE titer and symptoms in patients allergic to latex. Journal of Allergy & Clinical Immunology 1999; 103 (4): 671-77. Kim, K.T., Graves, P.B., Safadi, G.S. Implementation recommendations for making health care facilities latex safe. AORN Journal 1998; 67:615-632. Kim, K.T., Safadi, G.S., Sheikh, K. Diagnostic evaluation of Type I latex allergy. Annals of Allergy, Asthma & Immunology 1998; 80: 66-70. Aamir R., Safadi, G.S., Cornish, K., Melton, A.L., Wagner, W.O., Battisto, J.R. Shared IgE-binding epitopes in latex. International Archives of Allergy & Immunology 1996; 111(1): 48-54. Safadi, G.S., Corey, E.C., Taylor, J.S., Wagner, W.O., Pien, L.C., Melton, A.L. Latex hypersensitivity in emergency medical service providers. Annals of Allergy, Asthma & Immunology 1996; 77(1): 39-42. Terezhalmy G.T., Esposito, S.J., Safadi, G.S. Immunopharmacology. Dental Clinics of North America 1996; 40(1): 685-707. Aamir, R., Safadi, G.S., Mandelik, J.A., Cornish, K., Melton, A.L., Wagner, W.O., Battisto, J.R. Guinea pig: an animal model for latex hypersensitivity. International Archives of Allergy & Immunology 1996; 110: 187-194. Safadi, G.S., Safadi, T.J., Terezhalmy, G.T., Taylor, J.S., Battisto, J.R., Melton, A.L. Latex hypersensitivity: its prevalence among dental professionals. Journal of the American Dental Association 1996; 127(1): 83-88. Safadi, G.S., Corey, E.C. Danger lurks in latex. Emergency 1995; 27(10): 56-61. Safadi, G.S. Computer Software, Pediatric cough & fever: an exercise in clinical problem solving. Clinical Pediatrics [Book Review] 1990; 30(6): 390. 1. Mechanisms to reduce latex hypersensitivity. [RPC # 5125]. Approved for internal funding by the Cleveland Clinic Research Protocol Committee August 1995. 2. Screening protocol to identify subjects who exhibit difficulty tolerating a high dose of …, Schering Plough Research Institute. 3. Efficacy & safety of combination… vs. … and placebo in the treatment of subjects with seasonal allergic rhinitis, Schering Plough Research Institute. 4. Efficacy & safety of combination… vs. … and placebo in the treatment of subjects with seasonal allergic rhinitis and a history of perennial allergic rhinitis, Schering Plough Research Institute. 5. Randomized, double-blind…comparison of … vs …. vs placebo in subjects with COPD, GlaxoWellcome. 6. A double-blind… randomized, placebo-controlled… study to assess the safety and efficacy of… in adolescent and adult patients, Dey Laboratories. 7. Chronic-dose comparison of the efficacy and safety of… in mild to moderate asthmatics, Baker Norton Pharmaceuticals. 8. An open, randomized, parallel group, multicenter trial to compare a stratified care treatment regimen based on Migraine Disability (MIDAS grade) versus standard therapy for the acute treatment of migraine headache, Astra Zeneca. 10. Multicenter, double-blind, randomized, parallel group syudy of….vs placebo in patients with asthma, Altana. 11. A 12 week prospective, randomized, double-blind, placebo-controlled, fixed-dose, parallel group study of the safety and efficacy of … bid and … TID in female patients with constipation-predominant irritable bowel syndrome with a 6 month open label extension, Forest Labs.